I visit Thailand multiple times a year and always look forward to sharing my travel adventures with my readers here on the blog. Here you’ll find my best Thailand travel tips with my recommendations and experiences. 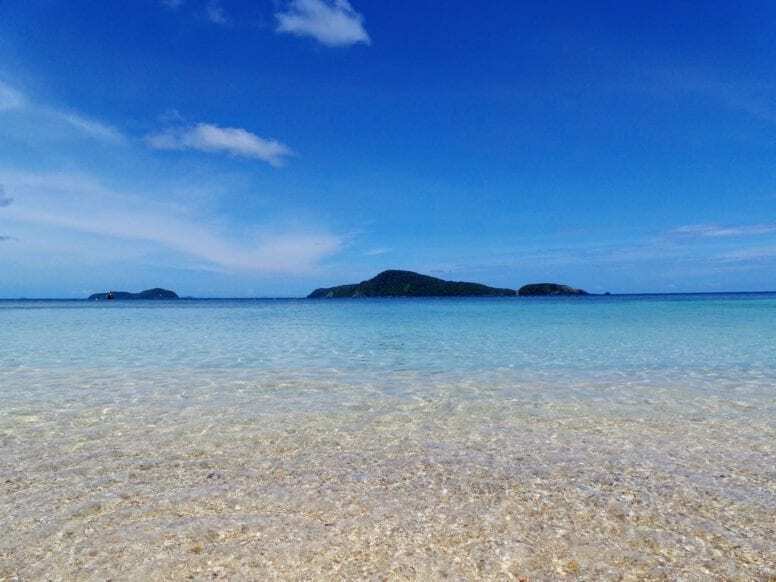 My love story with this country started about 8 years ago when I booked a two-week holiday in Koh Samui and became completely obsessed with this island. I was amazed by the palms, beaches and crystal clear sea and also with the kind, friendly and easy going Thai people who went out of their way to make me feel happy and comfortable all the time. Since then I had a chance to visit other parts of Thailand and felt exactly the same way about every new place I discovered. Bangkok quickly became my favorite city in the world and you can read a lot about my experience in this city here on the blog. Since my first day in Bangkok, I found it really easy to get around by using the BTS Skytrain, tuk-tuks or taxis. The capital of Thailand is a huge metropolis but it is very organized and also very well connected to all the most important landmarks and points of interest. 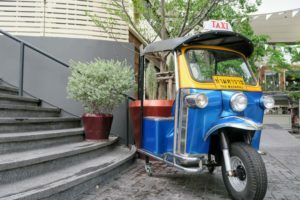 Discover more about how to move around Bangkok in my guide: Getting around Bangkok. 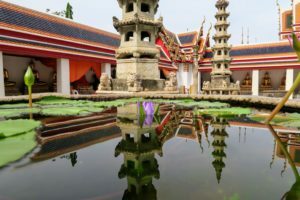 There is an endless list of attractions in Bangkok, you obviously can’t miss all the beautiful temples, the Grand Palace and the Jim Thompson House just to name a few. For the complete list of the main attractions check out my tips about Fun Things To Do in Bangkok. Bangkok is a real paradise for those of you who love shopping, in fact, there are hundreds of street markets with typical local goods but also incredibly modern huge shopping malls with top brands. In my shopping in Bangkok guide, you will find all the useful info and the best places for shopping. Each time I travel to Bangkok I tend to try out a new hotel as I’m always looking forward to discovering the best places and share them with my blog readers. If you’re looking for a dreamy holiday on the beach, Thailand is one of the best possible options. There are so many amazing islands in Thailand with sandy beaches and crystal clear water. 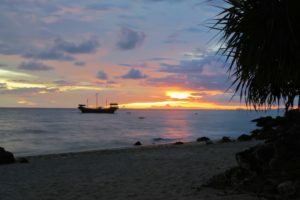 One of my favorites is without a doubt Koh Lanta located in the Krabi Province. If you’d like to learn more about this place read the following blog posts I wrote here on Crab In The Air. Another great Island definitely worth visiting is Koh Chang located in Eastern Thailand. Most of you have probably heard about Phuket as well which is one of the most popular touristic locations in Thailand. Phuket offers a wide variety of beaches, resorts, restaurants and all kinds of entertainment to its visitors. There are many fun things to do in Phuket and it’s basically impossible to get bored there. Another wonderful location, incredibly perfect and pristine is Ao Nang. Ao Nang is surrounded by many beautiful small islands that can be easily reached with a long tail boat. To learn more about it check out my guide to Ao Nang which includes all the practical tips and useful pieces of information. Last but not least there is Chiang Mai – my favorite city after Bangkok and located in Northern Thailand. Some of the things to do in Chiang Mai include visiting Wat Phrathat Doi Suthep, Wat Phra Singh, and Bua Thong Waterfalls just to name a few. My favorite hotel in Chiang Mai is De Naga Hotel, where I also enjoyed some of the best Thai Food I’ve ever had in my life. I hope you enjoy my list of Thailand travel tips and don’t forget to check out all the other travel guides for more amazing places to see.